Next time you go tailgating, or just have to deal with a power outage at home,this portable battery pack can power a lot of essential devices. 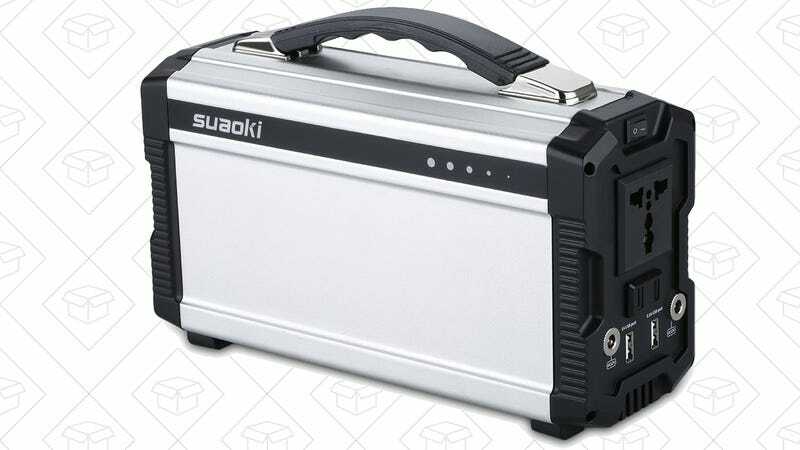 The Suaoki Portable Generator is down to an all-time low $170 today, no promo code required. With 20,000mAh and 220 watt hours of capacity, it can recharge phones and tablets several times over, but its built-in AC outlets can also run a small TV or your wireless networking gear for up to several hours, depending on its size and energy efficiency. 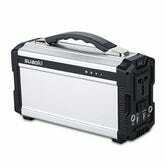 Though it doesn’t include them, you can even plug in some solar panels to recharge it on the go. It won’t be as efficient as just plugging it into the wall, but it’ll extend your runtime without any of the noise or fumes you’d get with a gas generator.